← Easter Ham – How many calories? Also, Happy Passover to those of you celebrating that holiday. And last, but not least, happy April Fools day to everyone. The idea of achieving and maintaining good health in this blog really is just an exercise (intended) in restoring ourselves on a daily basis, isn’t it? We wake up in the morning and our body says to us, metaphorically, what have you done for me lately? It’s nice that you ate well and got some exercise yesterday, but this is a new day. So, get to it. 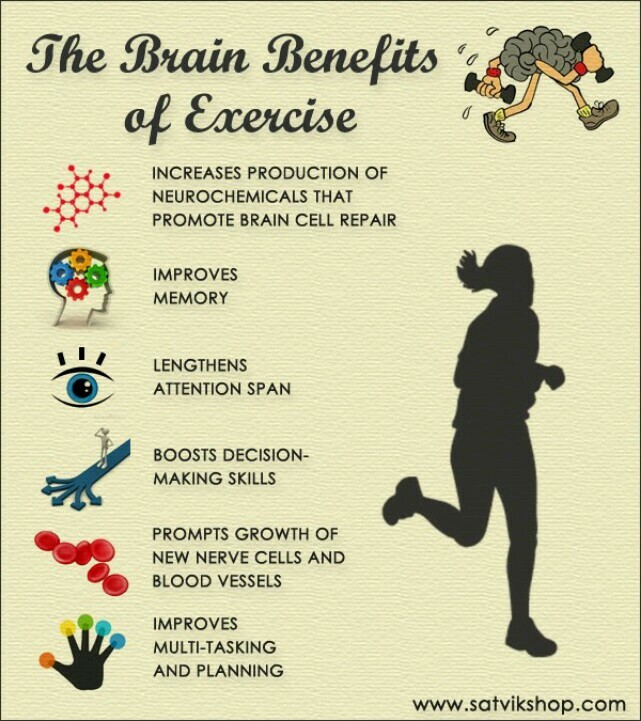 In the spirit of Easter and rebirth and good health I wanted to share this infographic on the benefits of exercise to our brains. Too often we overlook these benefits which are so important to us today and even more so tomorrow, in our senior years. Regular readers know that my family history includes both Alzheimer’s and dementia. So, exercise and keeping my brain functioning is most relevant to me. When people ask me why I ride my bike every day, I always tell them that I am paying for my old age one bike ride at a time.